Wings Over Willcox. Are you ready to see some birds? At the 24th annual Wings Over Willcox, we promise you will see some birds. You can also see presentations by Mark Hart, the Arizona Game and Fish Department's public information officer in Tucson, and Bryan Nelson, a writer and documentarian based in Tucson. The four-day festival features bird watching events of various intensities, from a half-day photography session to a day-long Hawk Stalk to an overnight trip to Cave Creek Ranch and Canyon Montane. If you're a bird person, you really can't miss it — you'd never forgive yourself. Thursday, Jan. 17 through Sunday, Jan. 20. Events at various times and places, with a center at the Willcox Community Center, 312 W. Stewart St. Event tickets range from $15 to $100. Details here. Creative Juice Art Bar Adult Painting Class (Celtic Tree of Life). Grab a friend and enjoy some drinks from the bar while exercising your creative muscles. 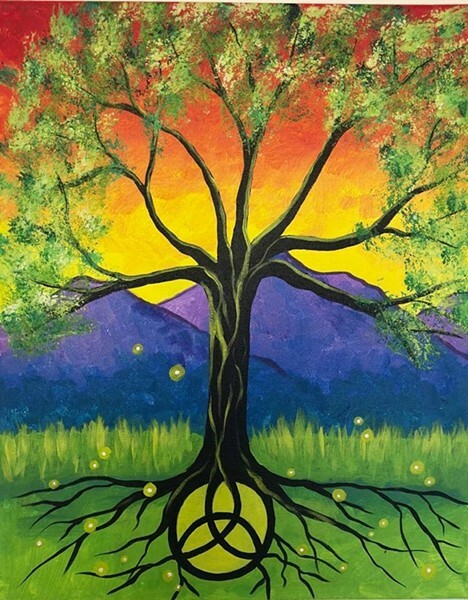 Follow the instructor's step by step instructions and paint your own Celtic Tree of Life masterpiece. $29 per person. Drinks are available for purchase, wine $5-$7 per glass and beer by the bottle is $4. Thursday, Jan. 17 at 6:30 to 8:30 p.m. 6530 E Tanque Verde Rd Ste. #160. Details here. UA Men's Basketball vs. Oregon. Cheer on the Wildcats as they take on the Oregon Ducks at McKale Center. Maybe, just maybe, that cute little duck mascot will be there. His fist-pounding-floor-rolling antics during the Ducks football game against Arizona this season was without a doubt the best part of the game. Tickets range from $40-$150. Thursday, Jan. 17 at 7 p.m. McKale Memorial Center, 1721 E Enke Dr. Ticket information is available online. Details here.